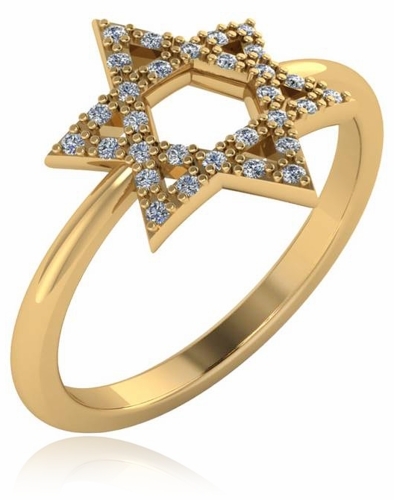 Our Star of David Pave Set Cubic Zirconia Ring features a perfectly set pave set round cubic zirconia Jewish star in a classic tapered band. 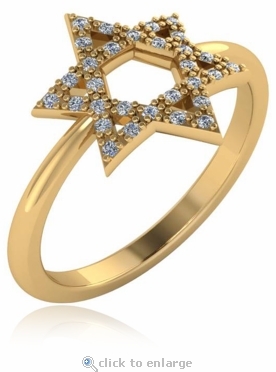 Show your Jewish heritage with the Star of David Ring in your choice of 14k yellow gold, 14k white gold, 18k yellow gold, 18k white gold or luxurious platinum. 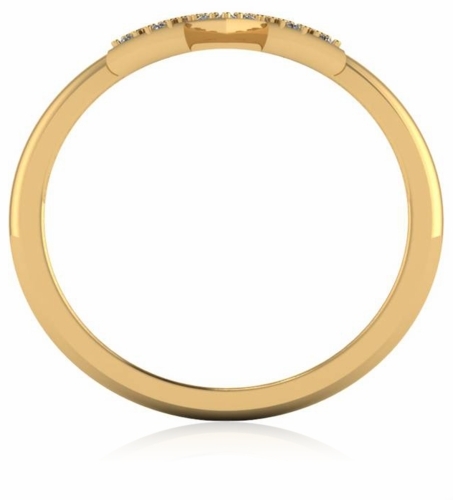 Whole and half finger sizes 5 through 8 are listed in the pull down menu and additional finger sizes are available, please call us directly for details. 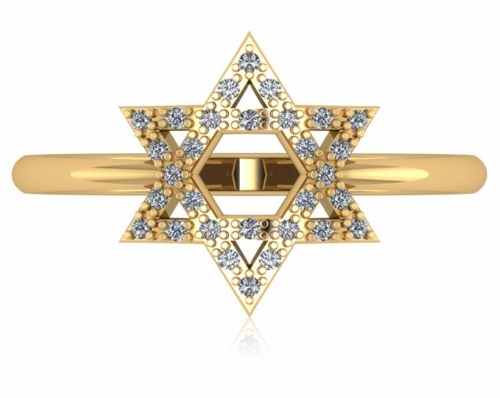 The star measures approximately 13.5mm in width and the shank measures approximately 2mm in width at the bottom. For further assistance, please contact us directly at 1-866-942-6663 or visit us via live chat and speak with a knowledgeable representative.